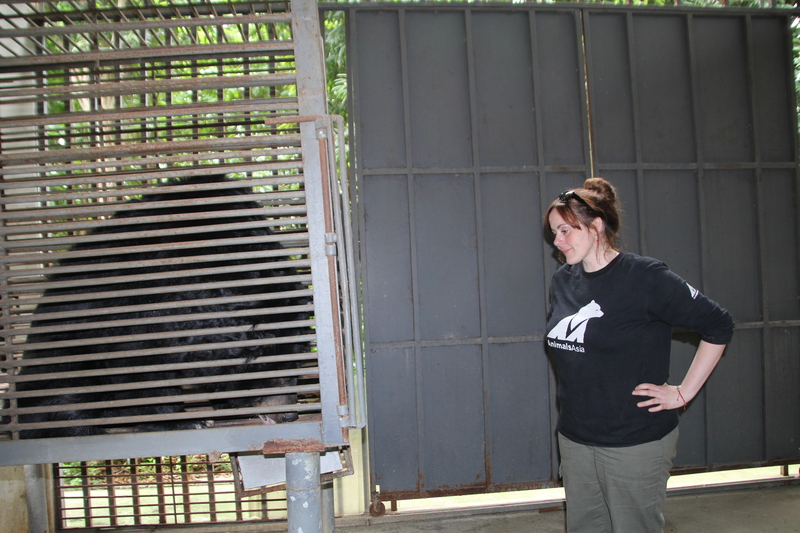 For Heidi Quine it’s a once-in-a-lifetime job – heading up the Nanning Bear Rescue Centre bear team. In her new role as Senior Bear Manager she will oversee the daily care of the bears as well as retraining former farm workers as part of Peace by Piece, Animals Asia’s landmark project to turn a bear bile farm into a sanctuary. The job is unique. Never before has a bear bile farm been converted into a bear sanctuary. Never before has a bear manager had to oversee the care of bears while the very facility around them is being converted. The conversion will take two years so, in the meantime, Heidi and her team will have to make the bears as comfortable as possible in spite of the facility’s current limitations. Already Heidi has a clear idea of what changes can be implemented while structural work remains on-going. One of the most important aspects of the change will be helping to train the ex-farm workers, who have no experience of animal welfare, into a first-class bear team. Undoubtedly there will be many new friends to be made in Heidi’s new role, but she also has much to leave behind. “I’ve been at CBRC since November 2011, almost exactly two and a half years now. I can honestly say in all my professional life I have never worked in such a close-knit team. It’s going to be very sad to move away from some of the amazing people and animals who have become my second family.